View Town codes, resolutions, and ordinances. This is a program to strengthen the relationship between local Fenwick Island homeowners/residents and local Fenwick Island businesses and merchants. Simply stated, local Fenwick businesses supported by local residents, local employees and the Fenwick business community as a whole makes a better Town of Fenwick Island! View employment opportunities and how to apply for a job with the Town. View information on Fenwick Island’s mayor. View all the different parks within Fenwick Island. It has become an increasingly large concern in Town that owners of pets are neglecting to pick up pet waste. 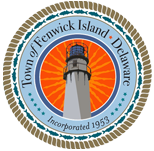 View important information about the Fenwick Island Police Department. View important information, newsletters and publications from the Town. Town Code specifies the manner in which trash should be handled.